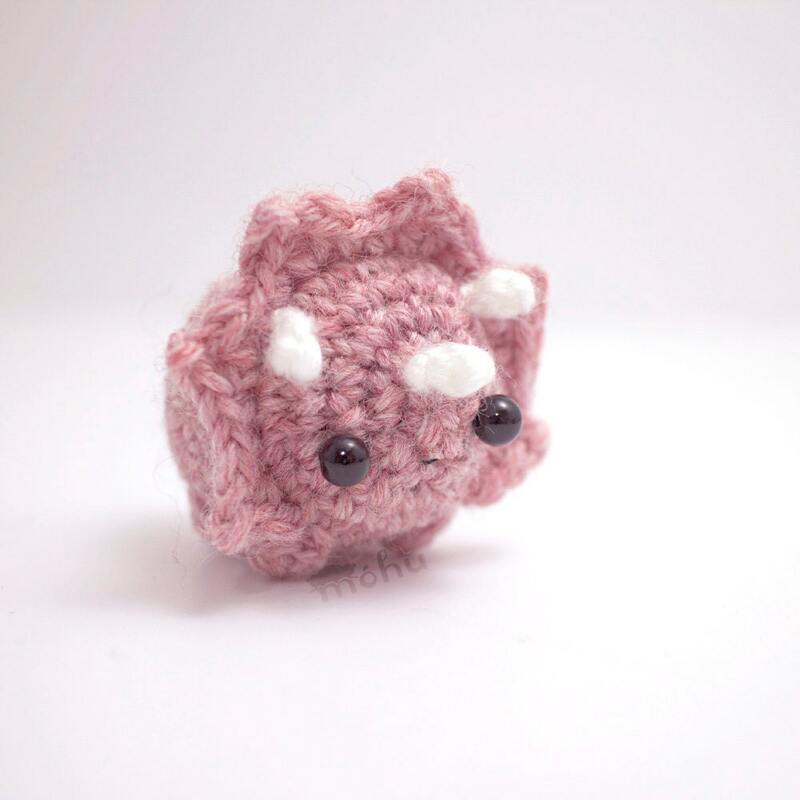 Use one basic crochet pattern to make three different amigurumi dinosaurs - a stegosaurus, tyrannosaurus, and triceratops. 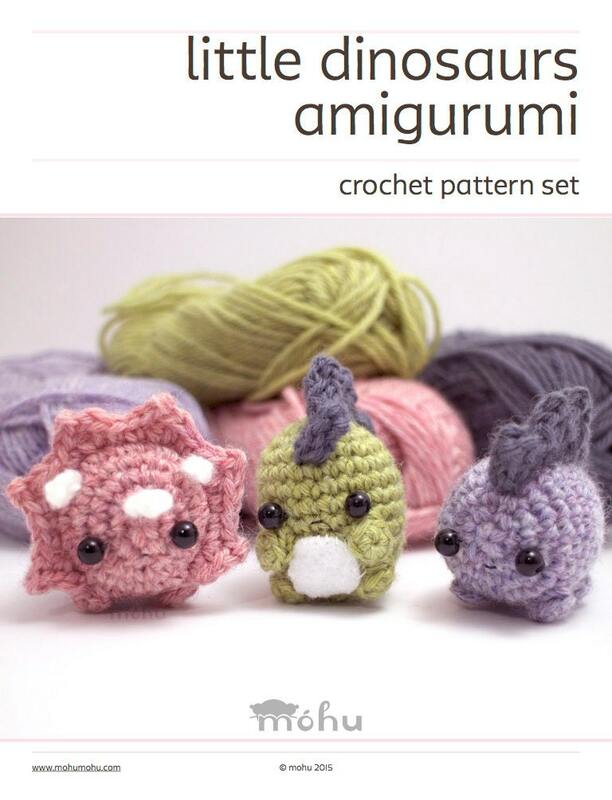 This digital download includes a written amigurumi dinosaur pattern, with instructions to make the three different dinosaurs. 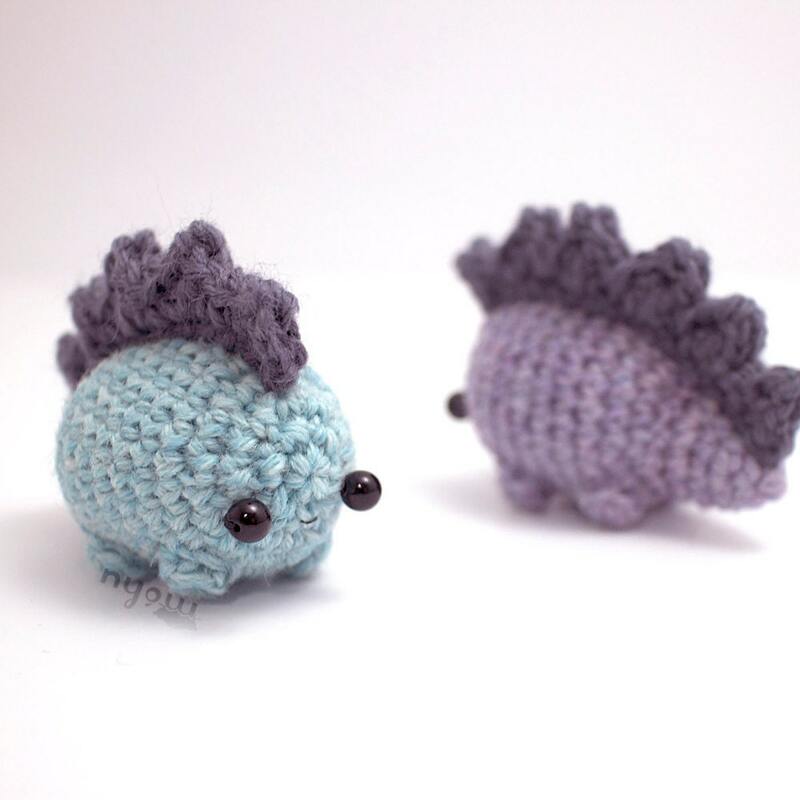 There's a crochet chart to help illustrate the dinosaur spikes, and a printable template for the t-rex's felt tummy. This is an intermediate level crochet pattern. You will need to be able to crochet in the round, and make basic crochet stitches. The pattern is written in US crochet terms, and uses single crochet, half double crochet, double crochet, and picot stitches. These techniques are taught in the beginner's crochet guide, included in your purchase. 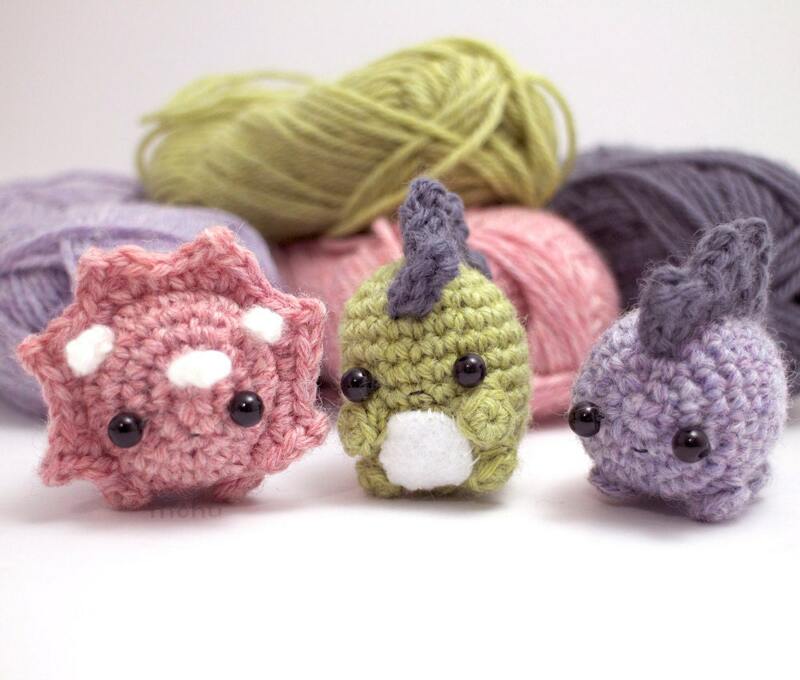 Medium weight (worsted weight) yarn and a 3.5 mm (E) crochet hook are used to create amigurumi dinosaurs that are about 4 cm / 1.6" wide, but exact gauge is not important. You will require small amounts of yarn in the colours of your choice, as well as some stuffing, sewing thread, 6 mm black beads or safety eyes, and a bit of white felt for the tyrannosaurus. Once you purchase the pattern, you'll be able to download it directly from your Etsy account. Móhu's patterns are intended for personal use. You may use the patterns to make items for yourself, as gifts, or for charity. Please don't distribute copies of the files that you have purchased, whether in digital or physical form. 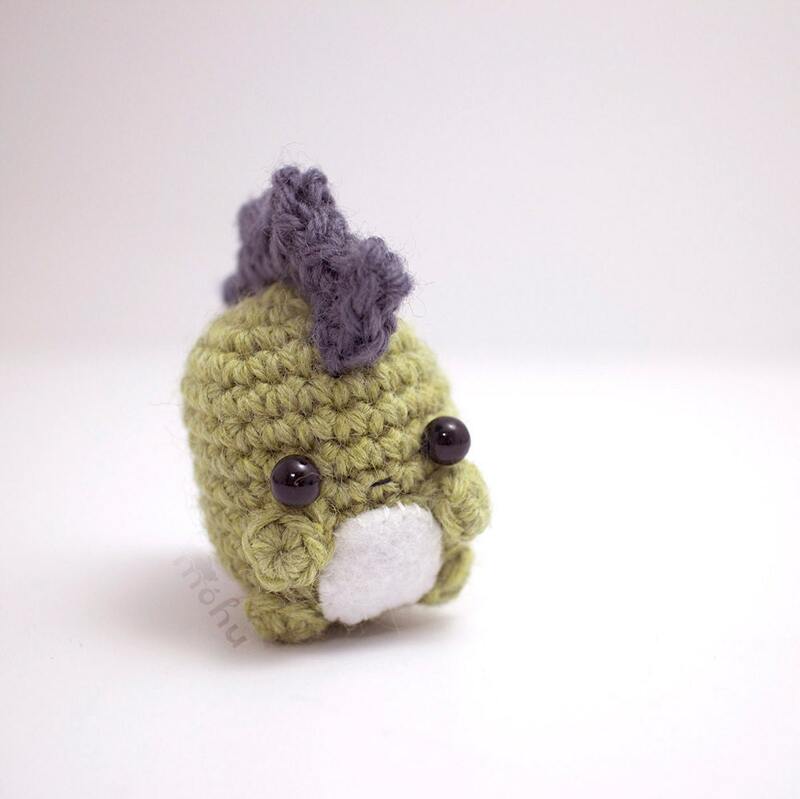 Quite adorable pattern, thank you!